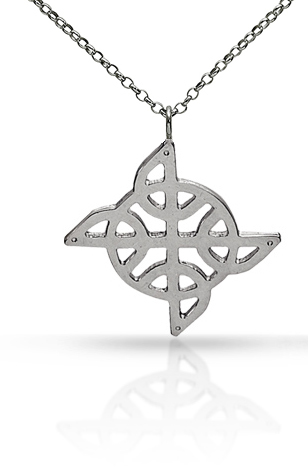 This Celtic Knot Pendant – asymmetrical is meticulously crafted from Sterling Silver (925). 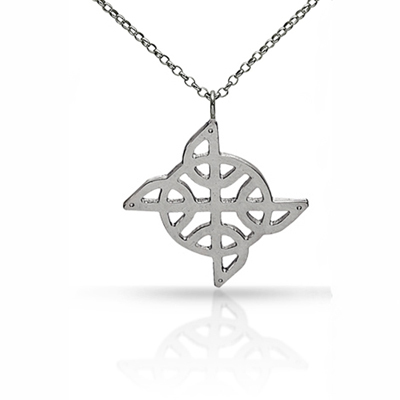 The design is a contemporary interpretation of a traditional Celtic knot and looks at the knot as a geometric shape. 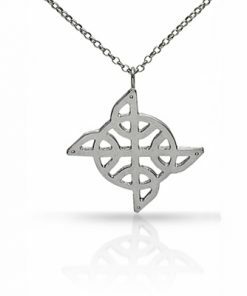 The pendant measures 25mm across and in length and comes on an 18 inch chain. Please leave a note at checkout if you’d prefer a different length chain. Matching drop earrings are also available. 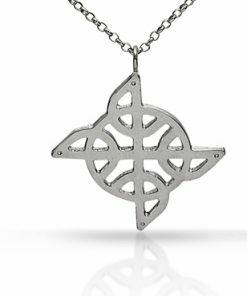 Each piece from the Celtic Knots range is meticulously crafted in Dublin, Ireland with love for Irish roots, history and folklore and is hallmarked in the Assay Office at Dublin Castle.